We've recently received some emails from our readers (mostly in the United States) saying their Samsung Galaxy S4 is not receiving calls at all. Some were related to the recent update released by their respective service providers while others don't exactly know what happened to their device. All of the sudden my Samsung Galaxy S4 cannot receive calls and sometimes I can't make outbound call as well but I'm more concerned with not being able to receive calls. I think this problem happened around 4 days ago because I often receive at least 6 or 7 calls a day. My boss actually thinks I'm dodging calls and some of my friends have already been complaining they can't call my number when they used to do that during weekends. I don't know what the problem really is and I hope you can help me with it. It could be the settings or it could be the phone… I don't know. Please help. Thanks. There are a lot of reasons why you can't receive calls on your Samsung Galaxy S4 and we will have to take every single possibility into consideration. While the Samsung Galaxy S IV is currently on, pop the back panel up and remove the battery. Leave the phone without battery for about a minute. Place the battery back to its compartment. Boot the phone normally. It should search for available networks automatically. Once detected, it will connect to the network. If it displays signal bars, it means you already have service. Make a call to verify it. If it's getting signal bars, contact your service provider. Maybe there are outages in your area you don't know about. From the Home screen, press and hold the Power button. Tap the Airplane Mode, then tap OK. The Airplane Mode is now disabled / enabled. Tap the Phone icon, then tap the Menu key. Choose Call Settings then Additional Settings. Wait until current settings are displayed. Tap Call Forwarding then Voice Call. Tap each of the following options 'Always Forward', 'Forward when busy', 'Forward when unanswered', and 'Forward when unreachable'. Repeat until all diverts are turned off. Tap Connections tab, then More networks. Tap Mobile networks, then Network mode. Choose GSM/WCDMA from the options. #5. Perform a factory reset. This is going to be your last resort in case the first three steps fail. But before you do this, make sure you have backed up all your important data. If you were able to make and receive calls before but all of the sudden you can't, there could be some settings that were messed up. Since you cannot pinpoint it, you will need to address it in a general way and this is the best way to do it. 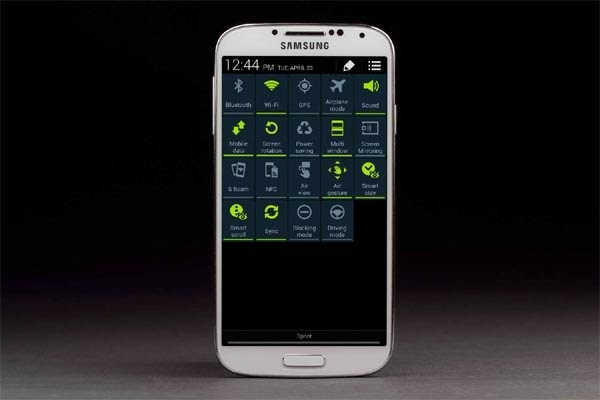 Turn your Galaxy S4 off completely. Release the Power button when the phone vibrates but continue pressing the other two. Using the Volume Down button, highlight the option 'wipe data / factory reset'. Using the same key, highlight the option 'delete all user data' and press the Power key to confirm. Once the reset is done, choose the option 'Reboot system now'. The phone will boot up longer than usual. If you are experiencing problems with your phones and you don't know what to do about it, maybe we can help. Email us at sebertech@gmail.com and we will try to find the right solution to your problems.